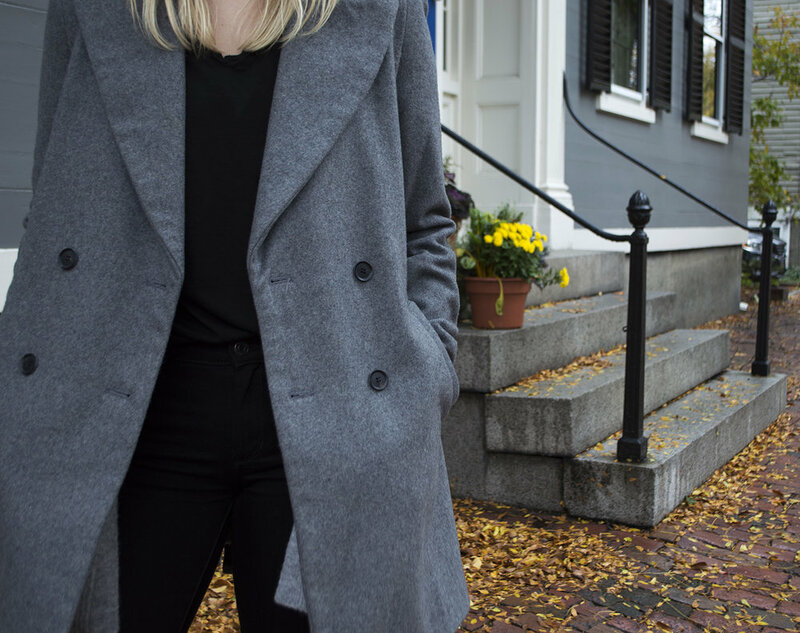 ONE OF MY FAVORITE THINGS ABOUT AUTUMN IS HOW A COAT STARTS TO BECOME A PART OF AN OUTFIT. AS MUCH AS I ENJOY GOING OUT IN THE SUMMERTIME WITHOUT THE EXCESS BAGGAGE, THERE'S SOMETHING ABOUT WORKING A COAT INTO THE MIX OF AN ENSEMBLE. 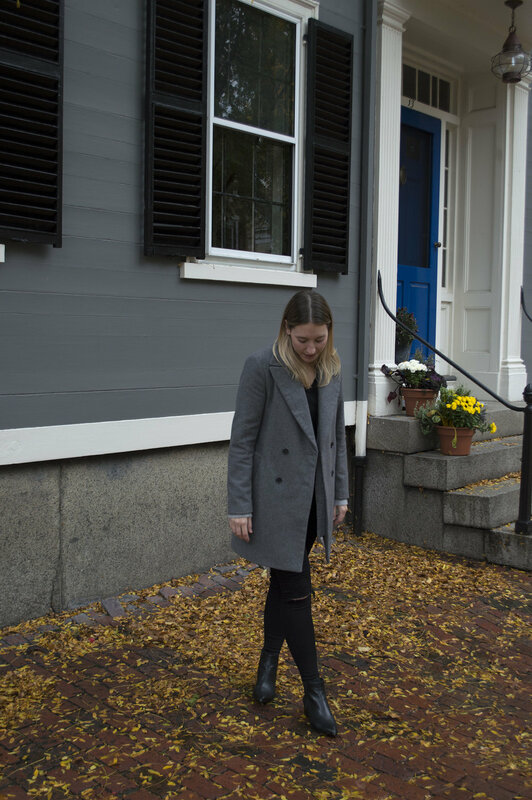 I'VE HAD THIS COAT FROM ZARA FOR TOO MANY YEARS TO RECALL, HOWEVER, IT'S CONSISTENTLY A COAT I REACH FOR TIME AND TIME AGAIN (THANKFULLY IT REMAINS IN GOOD CONDITION). I THINK THE COMBINATION OF IT'S LARGE LAPEL, SIMPLICITY AND STRUCTURE MAKES ME FEEL CONFIDENT AND PUT TOGETHER. IT'S JUST THE RIGHT WEIGHT, PERFECT FOR THOSE CHILLY AUTUMN DAYS.